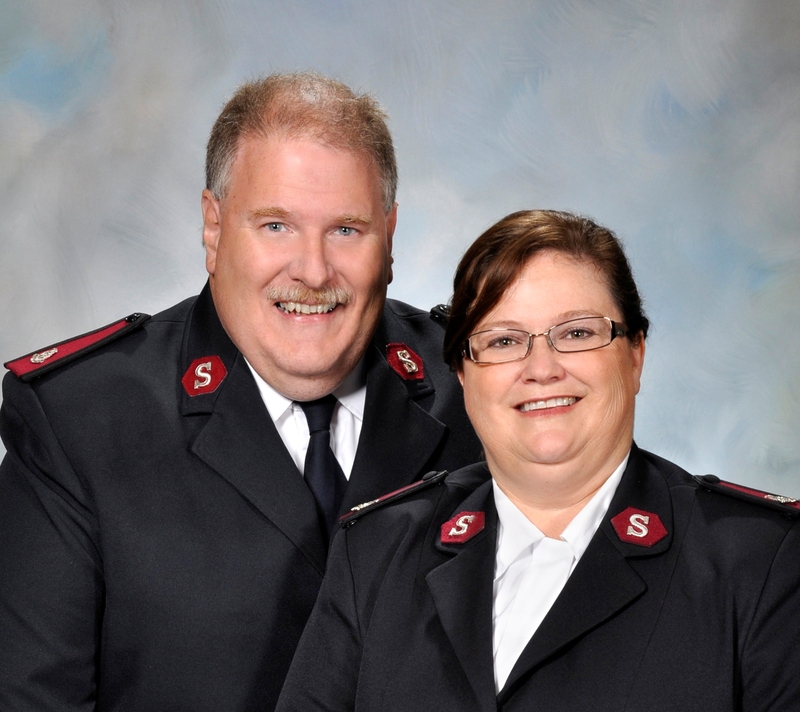 Majors Doug and Judy Hart will be serving Rochester as our new Area Coordinators.They’ve been officers for nearly 30 years but The Salvation Army has been part of both of their lives since young ages. Major Judy received assistance from The Salvation Army at age five when her father left her mom with seven children to take care of. “We received more than just food, we received encouragement and hope. I was encouraged to take part in the youth programs and to shoot for the stars,” she said. “ I always felt like an individual at The Salvation Army, coming from a large family, that was a rare feeling.” Major Doug was born into a family of officers and spent his childhood moving all over as his parents got new appointments. He graduated from Kendall High School while his parents were the camp caretakers at Camp Troutberg. Their daughter, Heather, 20, attends Houghton College and is considering becoming a Salvation Army officer. In February 2013 Commissioner Barry C. Swanson was appointed as Territorial Commander and Commissioner E. Sue Swanson as Territorial President of Women’s Ministries for the USA Eastern Territory. As territorial commander, Commissioner Barry Swanson is the administrative and ecclesiastical leader of The Salvation Army in 10 eastern states including Puerto Rico, with headquarters in West Nyack, New York. The territory includes more than 1,600 active and retired officers, 369 corps and over 1,000 other centres of operation. In 1990 Commissioner Swanson attended The Salvation Army’s International College for Officers (ICO) in London, England. Commissioner Sue Swanson had a similar opportunity to grow in her faith in Christ with other officers at the ICO in 2000. Both testify to the truly enriching experience that being a delegate at the ICO affords. Captains Swanson were first appointed to Heartland Divisional Headquarters in the USA Central Territory in June 1990, followed by another corps appointment prior to becoming the divisional leaders of Heartland Division in August 1995, with promotion to the rank of major. The Swansons’ officer experience was further widened in July 1999 when they were appointed to territorial headquarters in Chicago, with promotion to lieutenant-colonel. In 2001 Lieut-Colonel Sue became the Territorial Candidates’Secretary – a role she found particularly fulfilling. This was followed by an appointment in July 2006, to USA National Headquarters in Alexandria, Virginia – Lieut-Colonel Barry Swanson as National Chief Secretary and Lieut-Colonel Sue Swanson as National Secretary for Women’s Ministries. A year later and promoted to the rank of commissioner, the Swansons were appointed to International Headquarters (IHQ) in London, England where Commissioner Barry Swanson became International Secretary for the Americas and Caribbean Zone, while Commissioner Sue Swanson was appointed as Zonal Secretary for Women’s Ministries. Just one year later, in October 2008, Commissioners Swanson returned to the USA to assume responsibilities as territorial leaders of the USA Central Territory. In addition to the role of territorial President of Women’s Ministries Commissioner Sue was given the additional appointment of Territorial Ambassador for Prayer. In May 2010 the commissioners returned to IHQ as Chief of the Staff and World President of Women’s Ministries respectively. As Chief, Commissioner Barry Swanson was second-in-command of the worldwide Salvation Army and chief administrative officer for The Salvation Army’s IHQ. The Swansons are parents to four adult children: Joan Kurtz, married to Patrick; Will and Chrissy Swanson, who have two daughters, Luella and Martha; Michael, who is married to Kristina Bonesteel; and Andrea Strand, who is married to Colin. Commissioners David and Barbara Jeffrey returned to USA National Headquarters in Alexandria, Virginia, to take up their appointments as National Commander and National President of Women’s Ministries, effective October 14, 2013, after having served as the Territorial Commander and Territorial President of Women’s Ministries for The Salvation Army USA Southern Territory since August 1, 2011. Immediately preceding their appointments in the USA Southern Territory, Commissioners David and Barbara Jeffrey served as the National Chief Secretary and National Women’s Ministries Secretary at USA National Headquarters. They have served in a number of corps and administrative appointments. Before entering the College for Officer Training, they assisted in Fairmont, West Virginia, and were in charge of the Norway, West Virginia Outpost. As cadet-lieutenants, they served together as Corps Officers in Front Royal, Virginia, and Grafton, West Virginia. Their field appointments following their commissioning included the Baltimore (Hampden), and Hagerstown Corps in Maryland. Their divisional staff appointments included the following: Divisional Youth Leaders in the National Capital and Virginia, and North and South Carolina Divisions; Divisional Secretary and Assistant Home League Secretary in the North and South Carolina Division; and General Secretary and Home League Secretary in the Alabama, Louisiana and Mississippi, and Georgia Divisions. The Jeffreys also served as the Personnel Directors, and then as the Assistant Principal and Director of Special Services at the Evangeline Booth College. In addition, they have served as the Divisional Commander and Director of Women’s Ministries for the Kentucky and Tennessee and Texas Divisions. They also served as Secretary for Program and Assistant Secretary for Program. Barbara is from the city of Gastonia, North Carolina, and David is from Morgantown, West Virginia. The Jeffreys were married in 1969 and have two sons, David William and Mark Stephen, who is married to Sue-Ann. They have three grandsons, Blake, Mitchell, and Parker Wyatt.